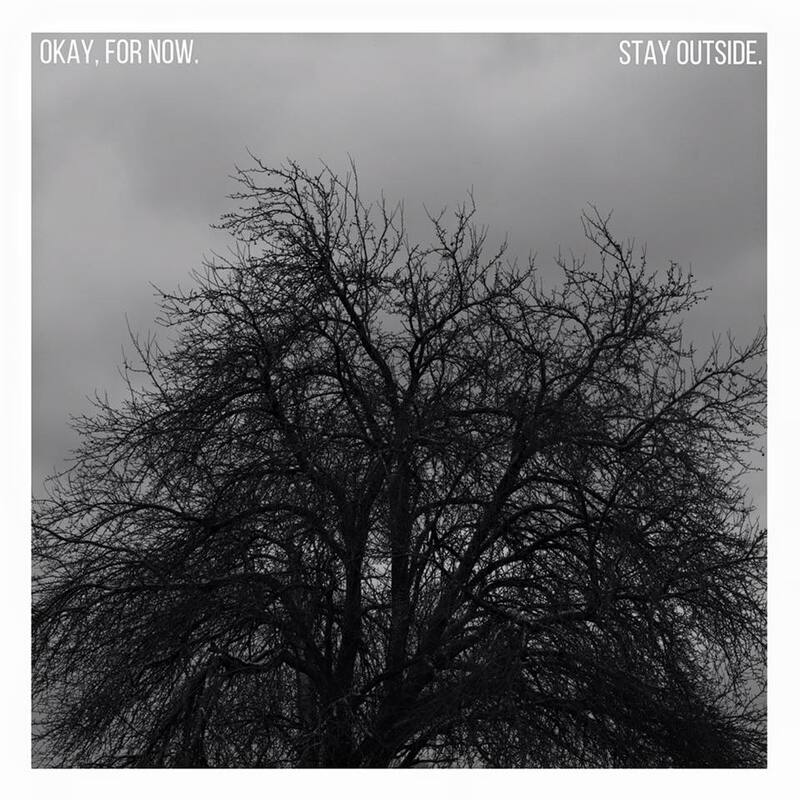 Stay Outside, from Marion, IN consisting of guitarist/vocals Aaron Becker, guitarist/vocals Garrett Johnston and bassist Sean West, debut their EP, Okay, for Now and it is the definition of independent alternative rock. It blends everything that is good about each of those genres. It is handcrafted. It is raw. It is stunning. There are the heavier rock tracks like “Braveheart” and “Void” which have a bit more of an edge with stinging electric guitars, as well as steady and complementary percussion. And specifically on “Void”, while still indie, has a mainstream alternative radio-ready feel. Stay Outside then has more indie folk-style song such as “Broke” that has a classic acoustic sound and is more reliant on the vocals that, at times, seem a bit strained, but have curious and interesting breaks. There is so much to love about a band that just lets their music speak and has multiple variations of that voice. Stay Outside has one of the best EPs of 2016 with no exceptions. Looking for that new undiscovered band? They are the next on that list and their EP, Okay, for Now, is their calling card. Okay, for Now by Stay Outside is available now on Spotify and iTunes!